Simon Chien is a Taiwan portrait, wedding, traveler photographer and film editor. 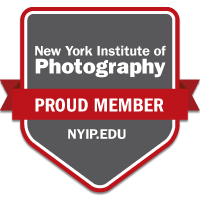 Simon major in portrait during the periods New York Institute of Photography distance education form 2016 to 2018. Simon is professional research for color and light in the New York Institute of Photography and focus documentary in wedding photo. In addition to shoot weddings, he also would like to shoot landscapes and snap photos during in travel. In 2014, he won first bronze medal of the PX3 awards in his career, then he won many international photography awards during 2014-2016 and continued.